Today I want to present to you a fascinating clean eating chia seed jam recipe I learned about only recently. It might be the cleanest, fiber-rich and healthiest strawberry spread you’ve ever made. I’ve also created a small video for you, showing you how quick you can make this amazing sweet delight. In contrast to regular jams you, don’t need any white sugar. 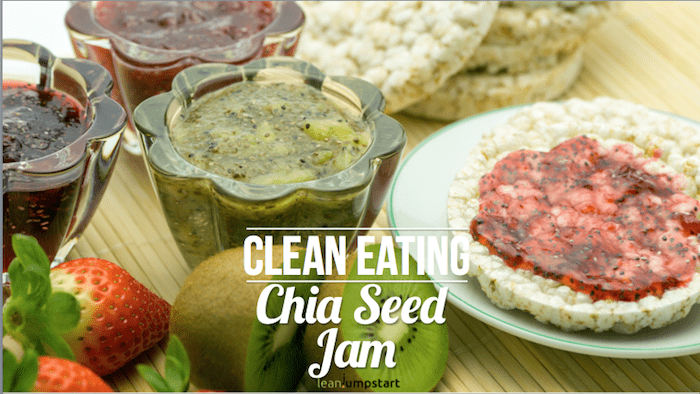 For all jam lovers around the world – here is finally a clean eating recipe you can enjoy while reaping the impressive health benefits of chia. Which fruits can you use? The best fruits for this kind of fruit spread are berries like strawberries, raspberries, blueberries, blackberries, and currants. You can also use other produce like kiwis, plums, cherries, pears or rhubarb. For the following chia jam recipe, you can mix fresh fruits or frozen fruits. Of course, you can combine different fruit types too. That depends on the preparation method. 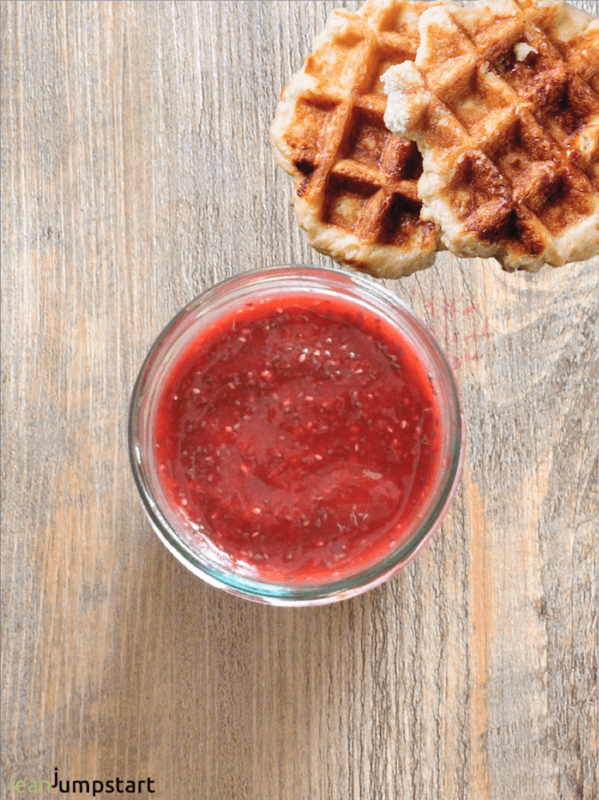 You can cook fruits or make a 5-minute no-cook fruit chia jam with cold fruit puree. The advantage of cooking is that you can store chia seed jam in your fridge for up to one week in an airtight glass jar with lid. A no-cook jam based on fresh fruits can be stored in your fridge only for 2 days. And even then you have to make sure to choose super fresh fruits. For the following basic recipe, I preferred the cooking method. Cook up fruits in a small pot (I used my Thermomix). Pour hot fruit puree into a glass jar (wash jar before with hot water). Let it cool down. (This is an important step. 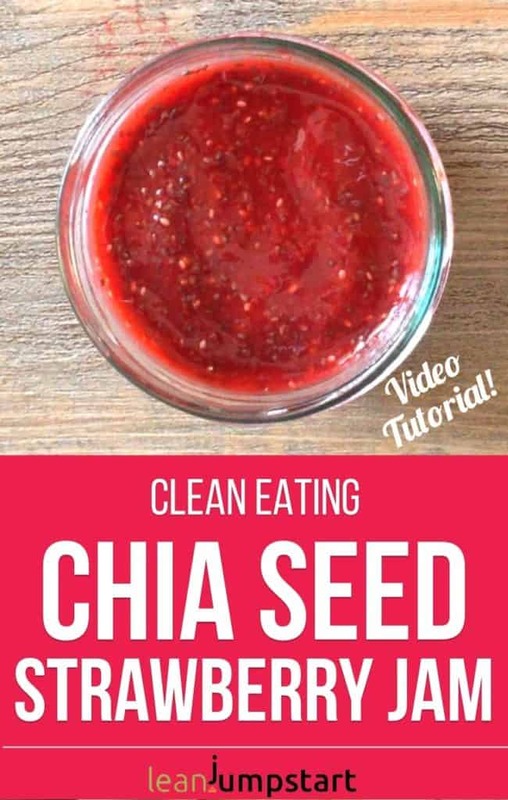 To preserve the nutrients of chia seeds and e.g. honey or maple syrup it is essential to add them to the mixture only when it is cooled down.). Stir in chia seeds, honey or date syrup, and lemon juice. Then screw on the lid. Let it soak in your fridge for at least 2 hours better overnight. Store it in the refrigerator for up to 7 days. Try it out on whole grain bread, rice crackers, pancakes, or drop some onto plain yogurt or frozen banana ice cream for a burst of fresh flavor. Tip: If the jam is not thick enough you can easily add some chia seeds and let it soak again for some hours. Click below to watch my short “how to” video and see the basic steps! For many people I know, eating jam, marmalade, jelly or honey for breakfast is a must. They feel that something is missing in their life without this sweet kick-start in the morning. I’m the opposite. Even before I started to eat clean I was never a big jam eater. Don’t get me wrong I also love the taste of sweet and fruity jam. But… I realized early in my adolescence that eating toast with jam or even honey makes me very hungry soon after eating it. I could have eaten 5 bread rolls with jam and yet I would starve for hunger within a short period of time. It is probably the concentrated sugar that is playing havoc with my insulin level. This kind of hunger pain in the morning never occurs to me when I eat my beloved oats muesli, oatmeal, granola or only a homemade smoothie. For my body, it obviously doesn’t make much difference if I use sugar or cleaner substitutes like honey or maple syrup. I still can’t eat sweet spreads for breakfast without a hunger explosion right after eating it. Although I feel that the insulin spikes with chia jam are not as high. This might have to do with the fact that chia seeds fiber content is impressive. What I do instead on weekends is to start with a hearty breakfast and to close with a small slice of bread with some chia jam. This works perfectly for me. By the way, if you want to further increase your fiber intake you might want to replace strawberries with raspberries that contain even more of the gut-friendly “roughage”. Sometimes when I want a sweet snack I love to eat a whole grain rice cracker with some chia jam. The advantage of chia jam besides being clean is, that it tastes less sweet than typical jam, marmalade or chutney made with preserving sugar. From time to time I serve whole grain pancakes or waffles with chia jam as a sweet meal, but I make sure that we always have salad or soup as a starter. That way the bowel is already occupied with digesting complex carbohydrates before the sugar arrives. I feel that this helps to balance out the insulin level. Of course, there are many other ways to use chia seeds. You can add them to your muesli, prepare a chia pudding, or sprinkle them over salad. Click here to learn more about the health benefits of chia seeds. Top 30 mouth-watering chia seed pudding ideas. Do you want to downgrade sugar even more? Eating jams without table sugar could be your first step toward clean eating. Do you love the idea of replacing processed convenient food with easy homemade food? 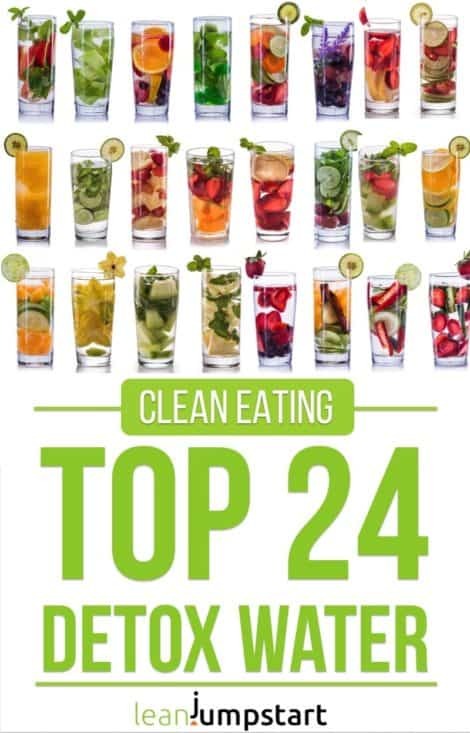 Then I warmly recommend to check out my 52 Chef Habits Ecourse which helps you to jumpstart clean eating with a simplified approach. Click here to learn more!